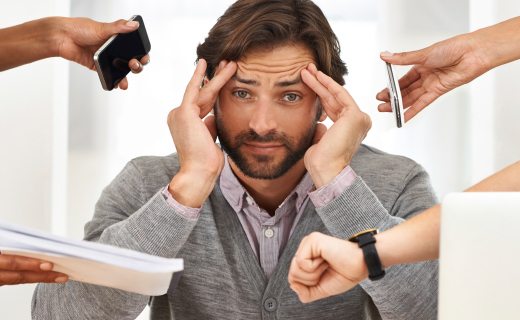 Stress strikes all of us at different times in our lives. We know how it harms our minds and bodies, but did you know that it hurts your oral health? New research shows a strong connection between stress and oral health, so it’s more important than ever to know how to keep the pressures of life from causing dental pain and problems. Gum Disease can make you more susceptible to infections like periodontal disease. Dry Mouth occurswhen the mouth lacks moisture and often results directly from stress or drugs that depression. 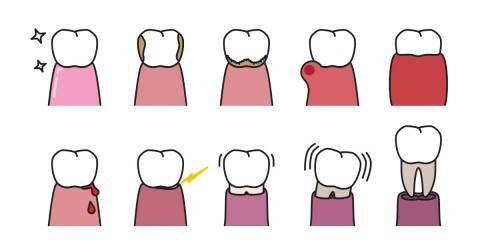 TMJ/TMD can be caused by the tooth grinding and trauma that often occur when facing anxiety and depression. Canker Sores are often brought on by stress. Bruxism is another name for tooth grinding and another problem caused by stress. Burning Mouth Syndrome causes pain throughout the mouth and is often attributed to psychological problems. Oral Lichen Planus is a series of oral sores and is thought to be a reaction to stress-induced viral infections. While stress is often seen in direct dental damage, it also has an indirect impact on your dental care habits. Many experiencing stressful times overlook their oral health, forgetting to brush and floss correctly, and skipping professional dentist visits. Many to start to eat poorly and choose more sugary options. This eventually leads to dental problems, which only increase their anxiety. So stress does more than cause dental damage, it’s also one of the painful effects. See an affordable dentist in Indiana if you’re worried that stress is harming your teeth and gums. Keep up a good oral hygiene regimen. Seek professional help if you experience extreme anxiety or depression. Good friendly atmosphere and very accomodating. Needed a tooth extracted, called at 8:15, was in office at 8:30 and my problem was remedied. Your staff is very warm and caring, detailed to a fault . The staff appears to work as a team to serve the health of all their clients. Clients appear to be happy, and to get what they came for.